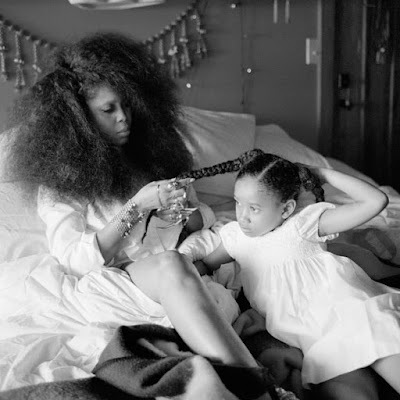 Erykah Badu Reveals Children are Homeschooled and It's a Family Affair! Today, Erykah Badu revealed on social media that her whole family gets involved in homeschooling. The singer has 3 children: Mars Merkaba (age 10), Puma (age 14), and Seven (age 21). The post included a video of her youngest daughter, Mars (who is currently being homeschooled) being taught by her son Seven. After Badu began by sending love to other parents and students who were involved in homeschooling, she let everyone know that homeschooling was not easy to do. In January of 2019, the National Home Education Research Institute reported that were over 2 million students who are homeschooled in the United States. In 2018, PBS reported that the number of African-American families who chose to homeschool was rising due to parents not wanting their kids to experience things like peer pressure, drugs, and racism. Badu, who revealed that she homeschooled her children back in a 2009 interview with People magazine said, "All my children have been thru Badu school. They know the drill. The whole family gotta get involved." She then explained that her son, Seven, who is a botany major teaches botany and psychology. Jay Electronica, who is the father of Puma, teaches world/planetary history and geography. Puma teaches art and French. The singer said, "I'll handle the Physics, Math, Lit, Sociology, Health science, Astronomy, Astrology, Meditation, Religion, Economics, Art appreciation, Film making, Quantum Science, Molecular Physics... etc... " Erykah Badu definitely knows what she is doing. In 2016, the 47-year-old announced that Seven got accepted into all 4 colleges he'd applied. The most touching part of the singer's homeschooling message was that she said the whole family was helping Mars to "see the world through her own lens." She said, "It is not necessary that she becomes a mini erica or mini jay. After all, we are still becoming." I thought Erykah Badu's statement was great because it meant that her daughter was allowed to be her own person. What do you think of Erykah Badu's message and method of homeschooling?